You might expect think NASA would race to build on the success of the Kepler telescope. Instead, it is coming dangerously close to abandoning the search for other worlds. A technician checks out the Kepler telescope's 95 megapixel light detector. Last September NASA held a press conference at the Ames Research Center in California to announce a surprising finding from the Kepler observatory. Astronomers had discovered a planet revolving around a binary star—two stars orbiting one another. For many, the discovery of the planet, dubbed Kepler-16b, brought to mind Tatooine, the home world of Luke Skywalker in Star Wars. Fans remember him gazing dreamily across the sandy landscape at a double sunset in the first film. When George Lucas wrote the scene, astronomers doubted that such a planet could exist—they thought the gravitational whirlpool from its two stars would devour it or catapult it into interstellar space. Now science has caught up. Poring through dispatches from on high, scientists have delivered the remarkable details of Kepler-16b. The size of Saturn, it is half rock, half gas, and frostier than a cold night in Antarctica. But if you were there, “you would see a sky with two suns, just as Luke did,” says Kepler project scientist Nick Gautier. You might see a red sunset first, or an orange one, or both suns setting together, as your two separate shadows slowly lengthened behind you. And this is just the latest in a series of stunning finds from Kepler, a space telescope designed to search for Earth-size planets orbiting other stars in what is called “the Goldilocks zone.” In this zone, planets are at a distance from their suns that makes them, like the porridge Goldilocks chooses, just right—neither too hot nor too cold for liquid water, a requirement for life. Since the beginning of 2011, Kepler has found the first rocky planet around another star, a blisteringly hot boulder known as Kepler-10b with a diameter 1.4 times that of Earth. It has identified five potential “super-Earths”—planets one and a quarter to two times as wide as our own that might support life. It has discovered a solar system with six planets orbiting a single star. Last February Kepler researchers reported 1,235 “candidate” planets, which now await confirmation. That tally, the result of only about 13 months of data collection, is more than twice the number of exoplanets discovered from Earth in the previous 15 years. More than 400 of Kepler’s candidates reside in solar systems with more than one planet. “In terms of exoplanet science, Kepler has been a game changer,” says Natalie Batalha, acting leader of the Kepler science team. In fact many scientists regard the planet-hunting space observatory as one of NASA’s most successful scientific ventures. At just over $600 million—slightly more than the cost of a single shuttle mission—Kepler has certainly been a bargain. You might expect that NASA would be racing to build on Kepler’s success. Instead, in the face of severe budget cuts, the space agency is coming dangerously close to abandoning the search for other worlds. It canceled two spacecraft designed to extend Kepler’s findings. And Kepler’s mission itself is now in jeopardy. The goal of the Kepler space telescope is simple and precise: to measure the light from 170,000 stars in a small patch of sky near the border of the constellations Cygnus and Lyra. It occasionally adjusts its position to keep its stars in view, but it never looks anywhere else. Kepler watches for extremely slight dips in the amount of light coming from a star, a possible indication that a planet is passing across the star’s face in what astronomers call a transit. This job isn’t easy: Imagine trying to measure the dimming of a searchlight when a poppy seed is placed on its surface. Yet Kepler is quite good at this, even when multiple planets and stars are eclipsing one another, and is unique in its ability to find Earth-size planets. Ground-based searches for exoplanets have trouble detecting bodies smaller than Neptune. To avoid being fooled, Kepler must be able to distinguish between natural variations in a star’s light and the dimming caused by planetary transits. But careful analysis of the early data coming from Kepler alarmed astronomers in 2010. There was too much noise in the system, and distinguishing planets from other variations in the data was a harder task than expected. Something was wrong. If mission scientists couldn’t determine the cause of the problem and fix it, the project could be in trouble. Gilliland hoped it was the software, because that was here on Earth and could be fixed. Soon he was running the Kepler data through his own program for analyzing starlight. “I thought there was a good chance I could beat those youngsters at NASA Ames,” he recalls with a chuckle. Unfortunately, that wasn’t the case. “I could do as well as they did, but not better.” The Kepler software checked out. While Gilliland was running his software tests, other members of the tiger team turned their attention to the spacecraft. They pored over data transmitted by Kepler before and after its telescopic “eye” was opened. Kepler also checked out; it was operating normally. That left only the third possibility: The fault lay in the stars. Artist's conception of the Kepler-10 star system, located about 560 light-years away. When the mission was planned, astronomers assumed that natural variations in the light detected by Kepler would be much as variations in our sun’s light. But Kepler taught them something new. On average, starlight appeared to vary twice as much as sunlight. “Kepler is rewriting the textbooks,” Gilliland says. That was an important scientific finding but an ominous turn for the mission. Last June Gilliland reported at an American Astronomical Society meeting in Boston that the unanticipated variation in starlight means Kepler has to make more observations to complete the survey of its little patch of sky. It can still do what it is supposed to do, but it needs more time. The Kepler team estimates that the telescope will now need about eight years to complete what was originally planned to be a 3.5-year mission. The annual cost to salvage the mission would be relatively small—$17 to $20 million, about what NASA spent on a new toilet for the International Space Station. NASA’s failure to grant Kepler an extension would be a little like deciding to stop maintaining your car. You would save money in the short term, but in the end you would lose everything. This possibility comes atop NASA’s recent cancellation of follow-up missions aimed at revealing more about the worlds Kepler has found. One space telescope, called the Terrestrial Planet Finder (TPF), was put on hold in 2007. It was designed to look at the atmospheres of exoplanets for characteristic signs of life—water vapor, methane (made by bacteria), and oxygen (made by plant photosynthesis). If tpf found those things, “it would be hard to explain what it could be other than life,” says Wesley Traub, chief scientist in NASA’s Exoplanet Exploration Program. Part of the responsibility for mothballing TPF lies with exoplanet hunters themselves, who split over three competing versions of the spacecraft. “So now we have nothing,” says Geoff Marcy, a pioneering exoplanet hunter and a member of the Kepler team. “How is this possible?” He says that TPF would have been astronomy’s equivalent of the Human Genome Project—a groundbreaking effort that would have transformed the field. Like every government agency, NASA faces sharp cutbacks as part of the larger effort to tame the federal deficit; this was underscored in July, when the House Appropriations Committee stripped funding for the high-priority (and over-budget) James Webb Space Telescope. The budget the Senate proposed in September would restore the money, but it has yet to be finalized. Still, it is hard to understand why Kepler and the other exoplanet missions were not given the highest priority. These spacecraft were designed to answer one of the most important questions in the universe: Are we alone? Barring a direct voyage to other stars, such missions are the closest we will ever come to finding out. NASA is perilously close to abandoning Kepler, the space telescope that has revealed a bounty of exoplanets and the intoxicating possibility of life on other worlds. NASA will decide whether to extend Kepler’s lifetime this spring, when a scientific review committee from outside the agency evaluates competing missions and makes recommendations. NASA spokesman Trent Perrotto said respective project managers “have the challenge of making the strongest possible scientific case for continued operations.” NASA will fund the most promising projects from what is expected to be a fairly small budget. Last fall, exoplanet specialists met in the Grand Tetons in Wyoming to pool their latest findings and spread the word about the urgency of extending Kepler. “It would be darn depressing if we don’t get an extended mission,” says Roger Hunter, Kepler’s project manager. “You have to take a step sometime to determine if there’s life in the galaxy beyond the solar system. 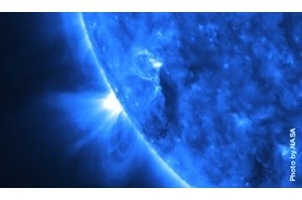 Kepler is a major step.” If NASA fails to act, Kepler will be turned off in November. Finding a real-life Tatooine is intoxicating, but so much more can still be done, and soon, if NASA can just find the money and the will. Will humans ever drop in to shake hands with whomever or whatever might live on one of Kepler’s planets? Batalha’s answer is startling. “Absolutely,” she says without hesitation. “I have no question. Once we have these destinations sighted in our telescopes, imagine how that will change our drive to get there.” Perhaps she is right. And even if we don’t find alien life out there, watching crimson and orange suns descend at twilight might be satisfaction enough. Kepler-10b The smallest known planet outside our solar system, it is just 1.4 times as wide as Earth and is as dense as solid iron. Despite its Earthlike size, a 2,800-degree Fahrenheit surface rules out the possibility of life. Kepler-11 In this miniature version of our solar system, announced in February, five of the six planets circle their star more closely than Mercury orbits the sun. Kepler-16b Tattooine is real, sort of. This Saturn-size world orbits a pair of stars that would offer golden double sunsets, but also eccentric weather: The planet’s temperatures would fluctuate wildly as it and the two stars move about their orbits. HD 85512b In September European astronomers announced the discovery of 50 new planets, including one of the most Earthlike ones yet: HD 85512b, a rocky world just 3.6 times as massive as our own and mild enough to have liquid water. LkCa 15B Scientists got their first look at the birth of a planet in October. Astronomers used the Keck telescopes in Hawaii to image a disk of debris surrounding a young star and found a Jupiter-size planet still forming within. #82: Could Random Airplane Boarding Speed Your Trip? #13: Can Gut Bacteria Stop the Spread of Malaria?